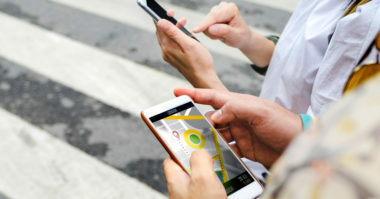 As mobile ownership continues to soar in the US, it’s putting a world of personal connection at advertisers’ fingertips. This massive move toward mobile brings many opportunities for brands to reach their target audiences, but few advertisers understand how to get the most out of mobile advertising’s potential. To help brands reach the right consumers and better navigate the world of mobile advertising, the Nielsen report, “Tapping the Full Potential of Mobile Advertising with the Personal Touch”, examined how well mobile ads reached their target audiences, and uncovered tomorrow’s trends in the mobile ad arena. To gain more of an advantage in mobile advertising, check out the enlightening e-book, 4 Steps to Unlocking the Real Power of Marketing Personalization, developed by MDG Advertising. This e-book explores how to achieve a personal consumer connection in digital advertising and provides some valuable tactics for improving your targeting strategies. 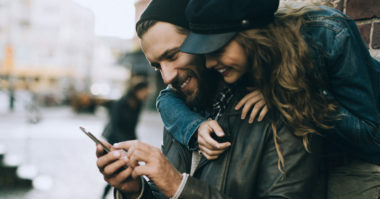 Take a look at the top takeaways below from the Nielsen report, and then download MDG’s e-book to learn how to create a more-personal mobile connection. Historically, desktop ads have had higher on-target percentages for reaching their target audiences. But over the last year, advertisers have made major headway with mobile, which has greatly improved mobile ad performance. In fact, research showed that mobile ads reached their target audience 60% of the time during the second quarter of 2016, which was an increase from the 49% mobile on-target reach during the same time in 2015. This has boosted the average on-target percentage for mobile campaigns and it now equals the performance of desktop ad campaigns. This mobile ad improvement is expected to encourage more advertisers to develop mobile ads. While mobile has made great strides in reaching larger audiences, desktop maintains a slight advantage over mobile in ad campaign performance. For instance, mobile campaigns directed toward the coveted buying demographic of audiences aged 18–49 had a lower on-target percentage than desktop campaigns to the same market, with mobile at 64% and desktop at 70%. But, it’s important to realize that mobile campaigns were actually more effective in connecting with more targeted, smaller audiences. According to performance metrics from ad campaigns targeted toward people aged 18–34, mobile ads achieved higher ratings than desktop ads, with 63% mobile ad performance versus 53% on desktop. In addition, mobile campaigns meant to reach audiences between the ages of 25 and 44 also performed higher than desktop campaigns targeted toward the same desirable demographic. This greater mobile effectiveness is being attributed to the fact that mobile devices are considered much more personal than desktop devices, and are a lot less likely to be shared and viewed by many people. This is demonstrating to advertisers that mobile is proving to be an extremely personal platform. It also shows mobile’s unlimited potential for making personal consumer connections. Research has shown that desktop ad campaigns really speak to women. In the past, desktop ad campaigns have generally had higher-than-average on-target percentages with male audiences than with female audiences. But, the percentages are completely different when looking at mobile ads. Mobile ad campaigns have had much greater success in reaching women than reaching men in almost every age group. Mobile ad campaigns geared toward the coveted 18–49 age group reached 53% of women and 50% of men. On the other hand, ad campaigns for the same demographic on desktop reached 57% of men and just 45% of women. And, when the target demographic was narrowed to audiences aged 18–24, mobile ad campaigns were able to reach 28% of women, but only 17% of men. This highlights mobile’s additional ability and agility to reach more-targeted audiences. Marketers consider women in these age groups to be the primary purchasers in a household, as well as critical early adopters. As a result, the strong connection that mobile has with women could propel it to greater importance, and aid in the development of more applications for advertising all kinds of brands. Want to learn some savvy strategies for creating a personal connection with digital advertising? Click here to download MDG’s recent e-book, 4 Steps to Unlocking the Real Power of Marketing Personalization. Tap into what’s new in mobile advertising. Contact MDG Advertising.